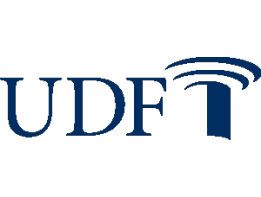 FRE Auction Event #9055: United Development Funding III, L.P. Original share price is the original issuance price of non-traded public REIT shares. Book value is the most recently published total shareholders' equity divided by shares outstanding. Many non-traded public REIT managers publish an estimated net asset value (“NAV”) per share. To make this calculation, REIT managers rely in part on an estimate of the fair market value of the REIT’s real estate investments, then adjust to give effect to other REIT assets and liabilities, including mortgages. The resultant valuation is then divided by the number of shares outstanding to arrive at a NAV per share. Historic dividend is the recent amount paid by a non-traded public REIT to its shareholders. Dividends are typically distributed quarterly and are subject to adjustment at each distribution period. FFO is a financial calculcation that is widely recognized in the REIT industry as a measure of operating performance, or cash flow. FFO is defined by the National Association of Real Estate Investment Trusts (“NAREIT”) as net income (loss) computed in accordance with GAAP, excluding gains or losses from sales of property, plus depreciation and amortization on real estate assets, and after adjustments for unconsolidated partnerships and joint ventures. FFO was developed by NAREIT as a measure of performance to recognize that income-producing real estate has historically not depreciated consistent with the basis as determined under GAAP.